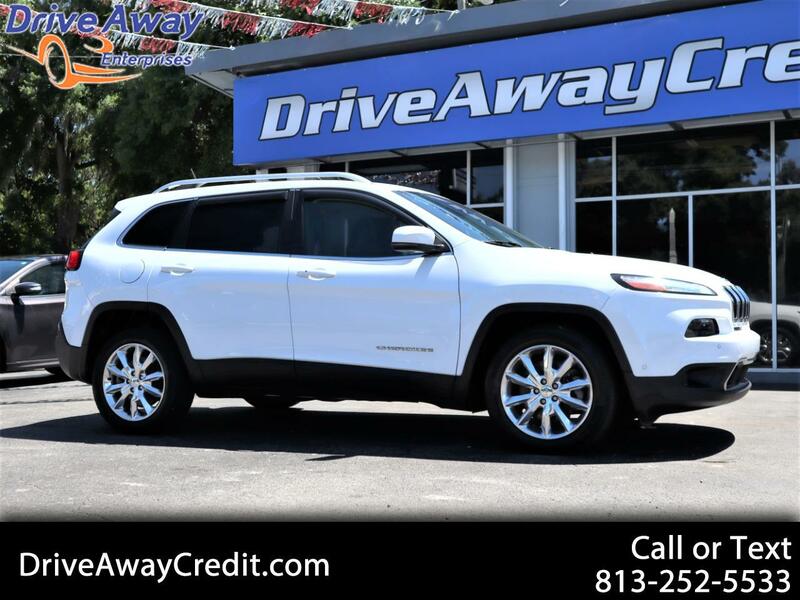 Our 2015 Jeep Cherokee Limited presented in Bright White Clearcoat provides a perfect blend of luxury and capability. Powered by a 3.2 Liter V6 that offers 271hp while mated to a class-exclusive 9 Speed Automatic transmission for easy passing. This Front Wheel Drive Jeep achieves near 30mpg on the open road, and you will leave others in your tracks with superior performance and different drive modes to optimize traction when road conditions are less than ideal. Take some time to admire the new fresh exterior of the Limited that combines classic Jeep elements with a modern and aerodynamic shape accented by a sharply curved hood and prominent wheels. Inside, you'll feel right at home in heated leather-trimmed seats as you grip the leather steering wheel with audio controls. A fold-flat front passenger seat and a convenient 60/40-split folding and reclining rear seat come in handy. You'll also enjoy staying connected with Bluetooth phone and audio, a six-speaker audio system with a touchscreen interface, USB/iPod integration, auxiliary audio input and satellite radio. Whether out pounding snowdrifts into submission or coasting down the freeway, our Jeep Limited has all the creature comforts you'll need to keep that smile on your face.